An artistic prologue to How We Live at Lone Bobcat Woods (episode 176). Ever wonder how an artist sees the world? In 1998 Janaia created an image from each window in her Sierra Nevada home. Her paintings in many styles emerge from a photographic backdrop in a music video panorama created by Robyn in 2004. Sharing what attracted her eye as the artworks pass by, Janaia reveals her own imaginative response to the natural world. 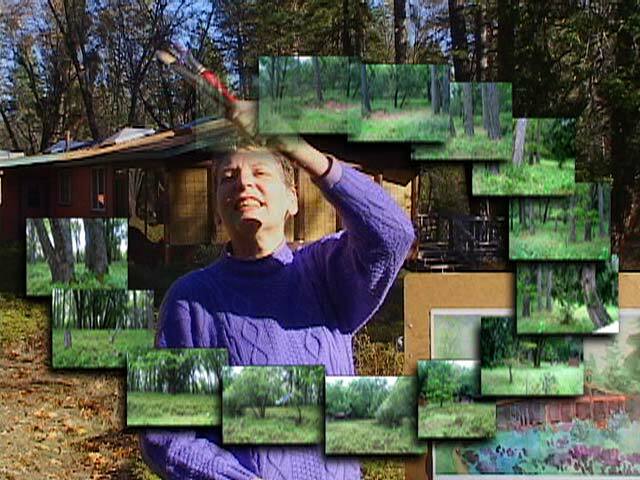 An official selection of the 2004 Wild and Scenic Environmental Film Festival. Thanks for sharing this full range of perceptions. I remember hearing about the thirty-seven views when you were doing them. Very special to finally get to see them all, so many years later. You and Robyn put together a beautiful film. It’s terrific how your art grows out of the actual landscape, and the magical circle at the start. Very lovely. Thanks for the beautiful photographic and artistic tour.